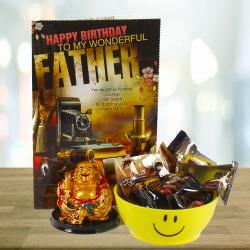 Product Consists : Laughing Buddha, Husband Birthday Greeting Card with Mens Wallet. The perfect wallet for a gifting. your pockets essential plus one to house all your cards and cash with ease. The outer and inner part of the wallet is made of good quality leather for additional durability and comes in black color that adds unique look and finish to this wallet. 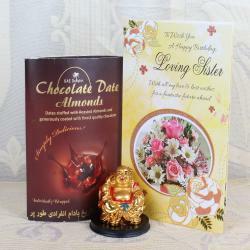 We have added Laughing Buddha and Husband Greeting Card in this Hamper. Laughing Buddha to call in positive energy in your life and good luck , fortune etc. The symbol of power , money and happiness. Grab this laughing Buddha showpiece and make your home beautiful as your life. Beautified with a lovely message, this Birthday card is sure to be an ideal way of telling your beloved how lucky you feel to have them in your life. 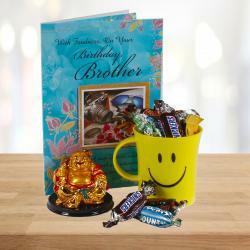 Send across your birthday wishes to your loving hubby in the most special manner with this beautiful birthday greeting card. Best way to express your emotion by sending a greeting card, Everyone loves to receive a card, either through the post or by hand. In this crazy fast, faster, fastest instant world that we all live its worth reflecting that the greeting card is still considered by most as the truly effective way of telling someone you really love and care. 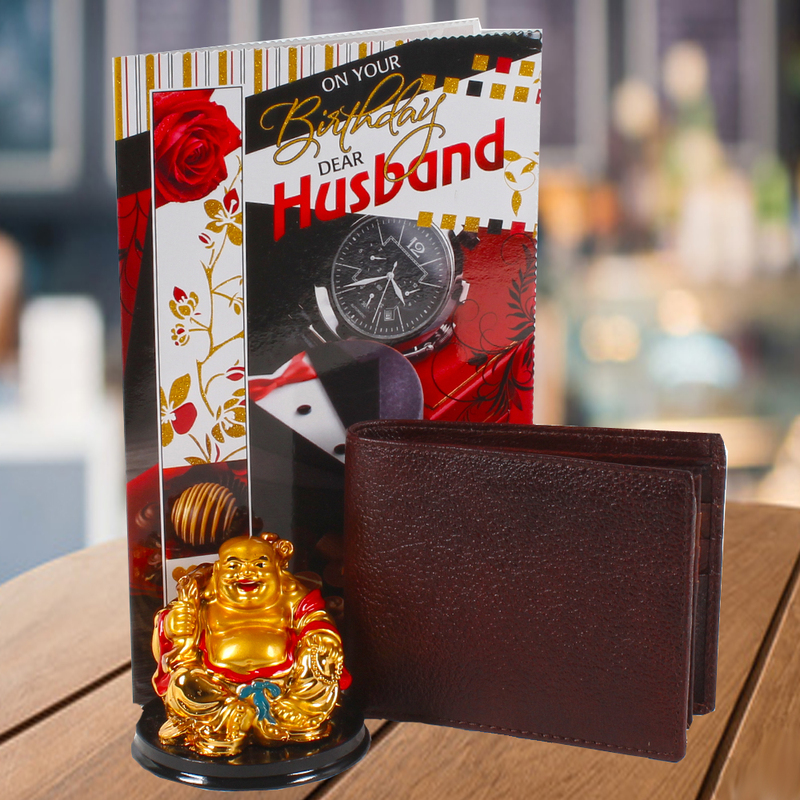 Product Includes : Laughing Buddha, Husband Birthday Greeting Card with Mens Wallet.